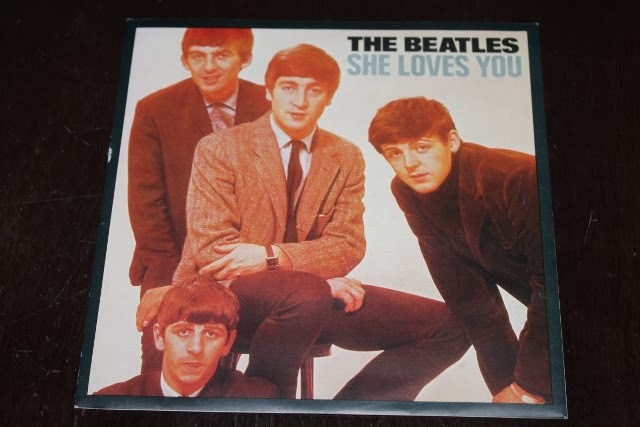 Maritime Vinyl: The Beatles - She Loves You! The Beatles - She Loves You! 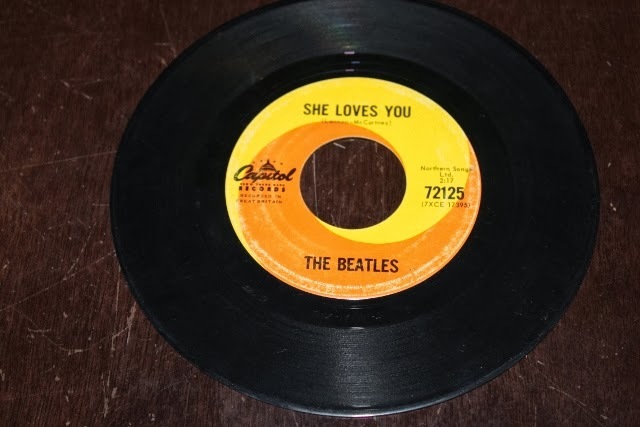 Today let’s look at one of The Beatles’ most important singles: She Loves You b/w I’ll Get You. In my collection, I have two copies of this single. The first is a UK pressing which has a great picture sleeve of the four young Beatles and was pressed on the Parlophone Records label, # R 5055. It was originally released in August 1963; my copy is a re-release from the Beatles Single Blue box which came out in 1982. The other copy is the Canadian release which became available the following month (September) on Capitol Records. I’m going to focus primarily on this Canadian release for this blog post. 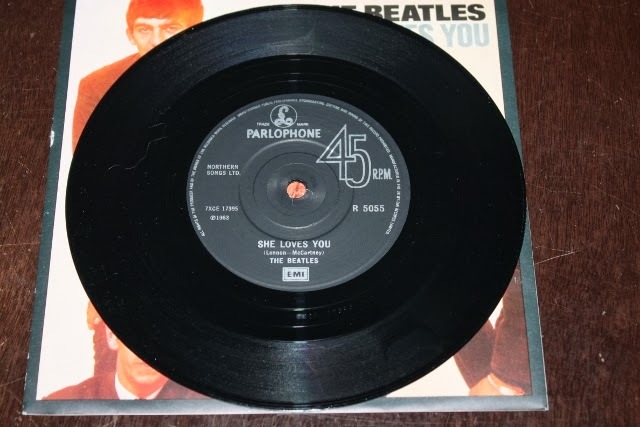 This is the only original 7” pressing of She Loves You on Capitol Records in North America (it was re-released in the United States on red vinyl with a purple Capitol label in 1992). Capitol USA was not initially interested in the Beatles, but good ole’ Capitol Canada saw something in them and decided to release it on their own. Since Capitol USA passed, Brian Epstein (Beatles manager) licensed it to Swan Records in the USA for release. All of these original Canadian releases are known as the Capital 6000 series. The long play albums were numbered in the 6000’s and the singles were numbered in the 72000’s. This numbering system does not only apply to The Beatles records, but other artists as well making it easy to identify these rare Canada-only releases. Capitol Canada sure was right in bringing over this single; it became the first Beatles single to reach number one in Canada in January 1964, 50 years ago this month! There are some discrepancies online about how long this song stayed at number one in Canada. The “CHUM Charts” were most commonly used in 1964 to determine Canadian chart position of songs. While some websites say it remained at number one for seven weeks, and some say nine, I found this website, http://chumtribute.ca/yearly-chart/?yr=1964, showing copies of the actual CHUM charts from 1964 which only shows She Loves You at the top for three weeks before being overtaken by The Beatles – I Want To Hold Your Hand. I’m a real sucker for these Capitol swirls numbered in the 72000’s. Besides usually being more valuable since they are rare Canada only releases, they are also a nice piece of history showing that Capitol Canada made their own decisions on what bands should be available in this country, leaving the USA to finally realize their mistakes and catch up later. Leo Kolijn's Roy Orbison Collection! Elvis Presley - Jailhouse Rock! Top 5's of 2013 - Uncle Rob!